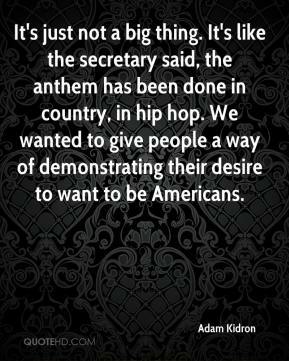 There's no attempt to usurp anything. 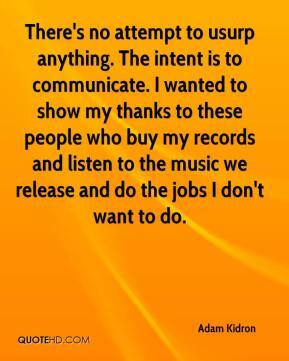 The intent is to communicate. I wanted to show my thanks to these people who buy my records and listen to the music we release and do the jobs I don't want to do. 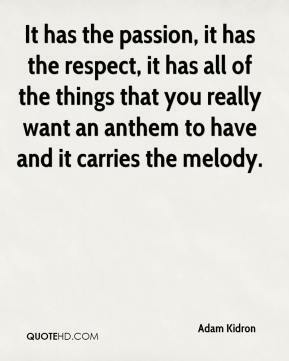 It has the passion, it has the respect, it has all of the things that you really want an anthem to have and it carries the melody. 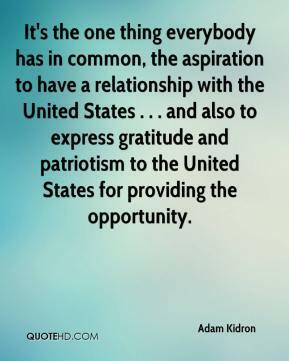 It's the one thing everybody has in common, the aspiration to have a relationship with the United States . . . and also to express gratitude and patriotism to the United States for providing the opportunity. 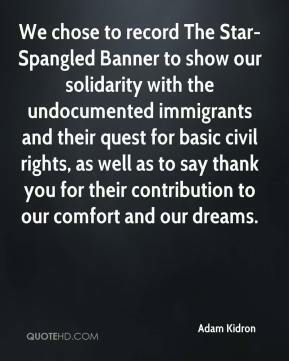 We chose to record The Star-Spangled Banner to show our solidarity with the undocumented immigrants and their quest for basic civil rights, as well as to say thank you for their contribution to our comfort and our dreams.